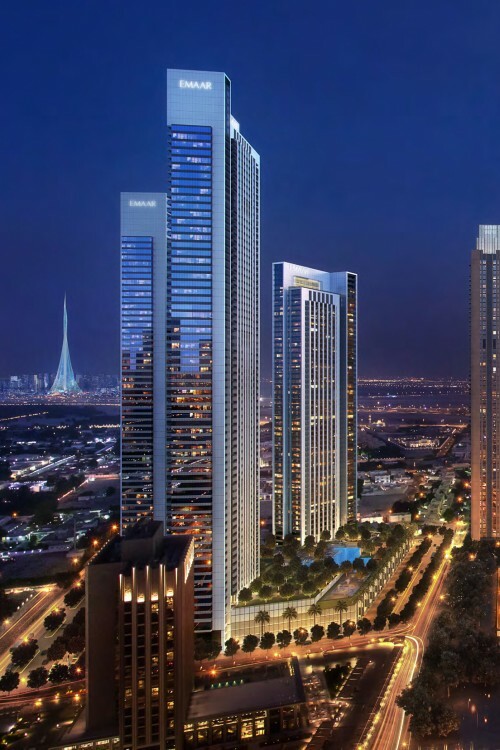 Downtown Views II is a new three-tower luxury apartment complex planned for the north side of Downtown Dubai. 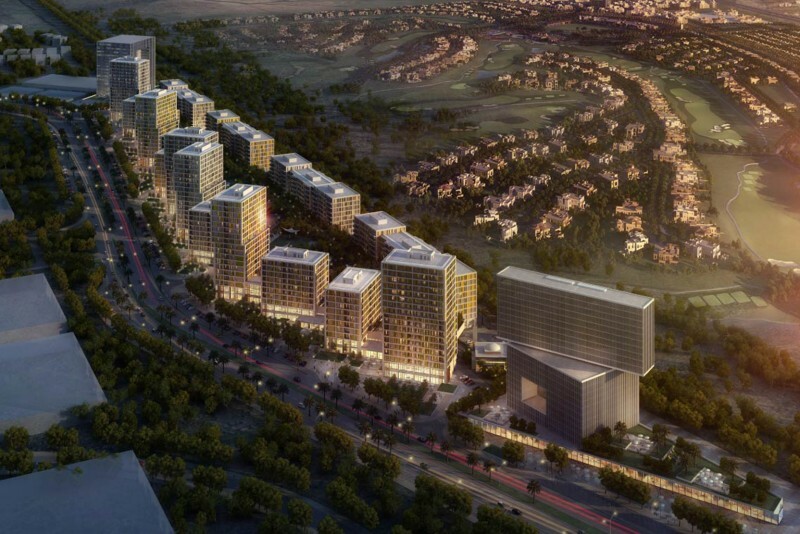 The towers will have direct access to Dubai Mall via an air conditioned bridge over Financial Centre Road. 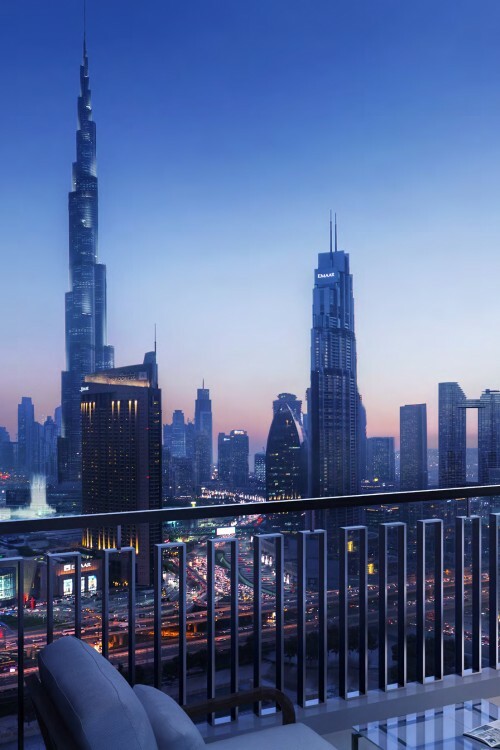 Downtown Views II will consist of one-, two- and three-bedroom luxury apartments with views over the Dubai Fountains and Burj Khalifa. 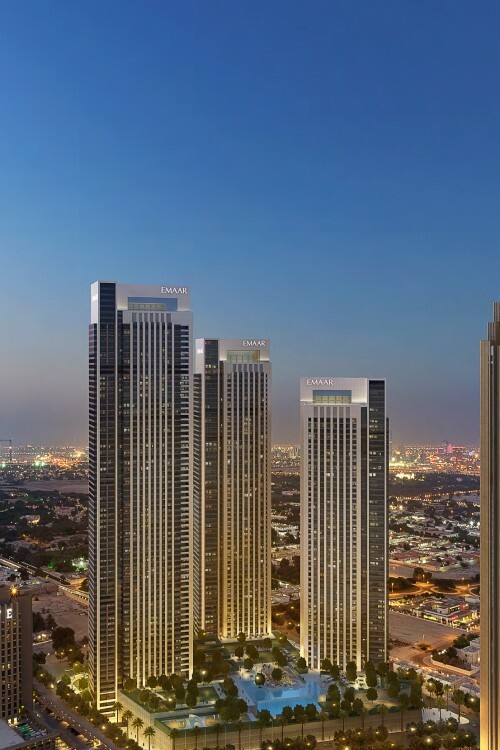 Amenities will include a temperature controlled outdoor pool with a barbecue area, a children's play area and pool, a sports court, state-of-the-art gym, a lounge, multi-purpose common room, a games room and a media room. 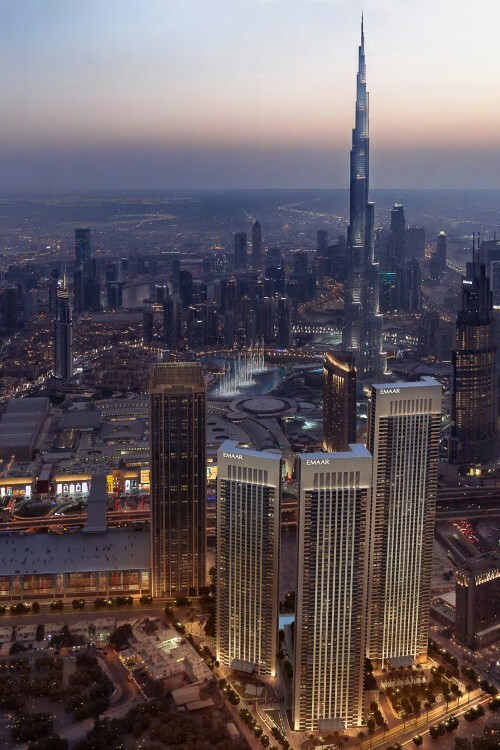 As far as we can tell, Tower 1 will have around 75 floors, Tower 2 68 floors, and Tower 3 62 floors. One-click links to properties currently on the market in Downtown Views II.